Starting with a tiny brown monkey in the middle of a jungle, this unique geography perspective shows everwidening views from mountain to village to city, to country, continent, ocean, and planet. Maps included on the end sheets highlight the geography of South America. 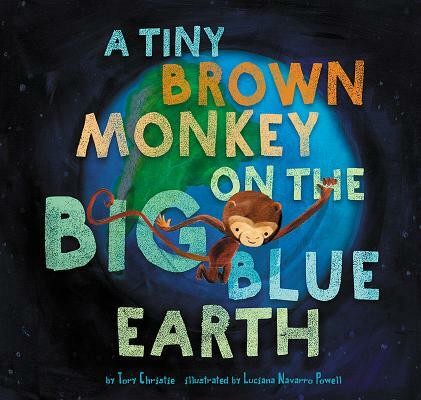 Tory Christie is a scientist who enjoys exploring the big blue Earth. She has collected pebbles on rocky shores, climbed misty mountain trails, and felt earthquakes on more than one continent. Tory lives with her family in North Dakota. Luciana Navarro Powell grew up in Brazil, but now lives in the Pacific Northwest with her husband and two sons. She goes back to Brazil once a year so her sons can try to spot little brown monkeys in their grandparents' backyard.